A great travel experience is staying in small hotels that have a rich history. 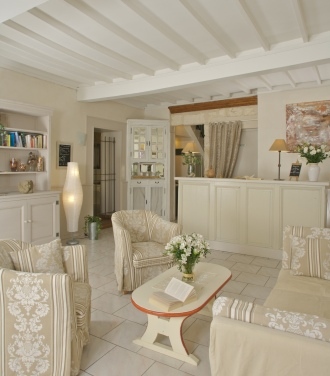 I found such a hotel situated in the historic heart of Avignon on rue du Portail Boquier, Hotel Boquier. Sylvie and Pascal Sendra welcome visitors into their family owned 18th century hotel and provide a warm family like environment to all who choose to stay in one of their guest rooms. Each guest room is titled and decorated in a different theme. Ours was the African room. Hotel Boquier is a beautiful blend of the past and present day. Guests can enjoy a relaxing petit dejeuner in the cozy old breakfast room and then pull out their laptops and access the world using the free WiFi the hotel provides. If you value old traditions and friendly treatment when you travel, consider staying in small hotels whenever you have the opportunity to do so. I’m guessing you had some amzaing adventures! B&B’s, Country Inns, and historic Hotels are big on charm and ambiance (even if they are small in stature).